Inger studied art at the National College of Fine Arts and Design (SHKS) and a private art school, both in Oslo Norway. She had her first exhibition in 1977. Following that first show, she exhibited all over Norway, Finland and Southern California. She attended an exhibition in Leibzig, Germany 2009, Ferrara, Italy 2010, London, England 2011, Bologne, Italy 2011, Broadway Gallery, New York City 2011, Bologne, Italy October 2011. Vico Del Gargano Italy 2012, Broadway Gallery, New York City 2012, Bologne 2013, Vico Del Gargano 2013, The Kenny Gallery, Ireland 2013. Galleria De*Marchi, Bologne 2014, Amsterdam Whitney Gallery, New York 2015. Enebakk Culture Hall, Norway 2015. Workshop in Italy 2016. Madrid 2016, Bologne 2016, Amsterdam Whitney Gallery New York 2016 - 2017, Fossekleiva Culture center 2018, Madrid 2018. She is a member of Norwegian Artists (NBK), Artists in Oslo and Akershus (BOA), and The Society of Norwegian Painters (LNM). Inger has many years of experience as an art teacher at high schools, adult education programs, art societies and leading workshops at art festivals. In 2002 she exhibited in Escondido Municipal Gallery, California, where she got an Honorable Mention for her painting "Sunset". In 2011 she got a prize for her paintings in "On The Edge" Trevisan International Art at the Galleria De' Marchi, Bologne Italy. Honorable Mention for "Passing By2" in Artavita. 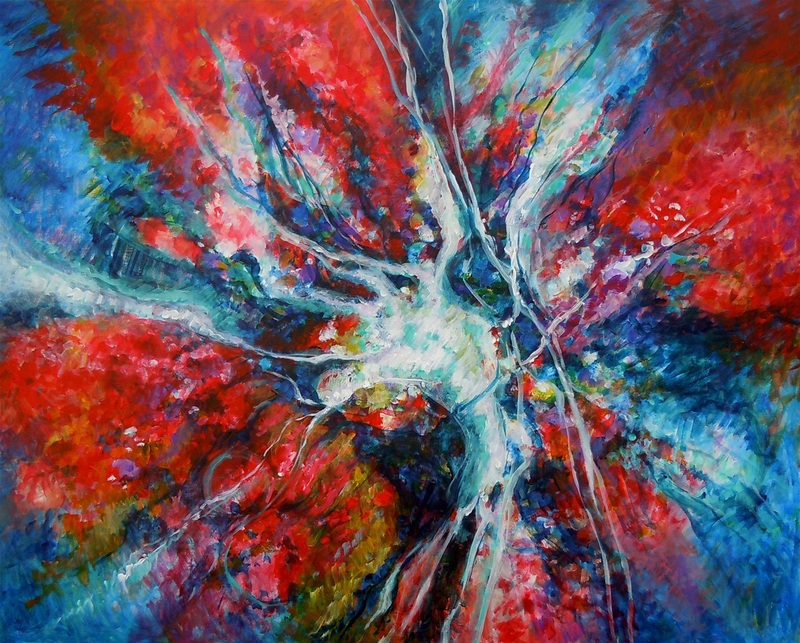 Ingers works are abstract impressionist pieces, with a focus on lyrical abstraction and unique color composition. She is inspired by music and dance and the cosmic universe where colors and movements are dancing together.